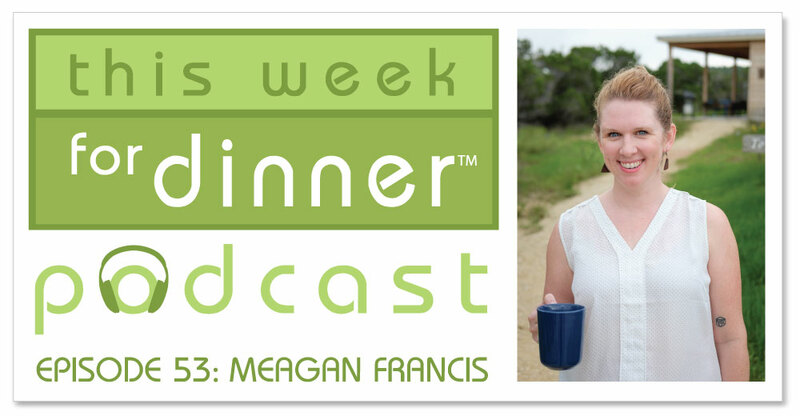 Today on the podcast I get the chance to interview my friend and colleague Meagan Francis. Meagan is co-host of the podcast The Mom Hour, an author, and an all-around thoughtful, inspiring person. Meagan and I talk about all kinds of topics related to parenting, from how motherhood has evolved to offer new career opportunities for women, the impact of social media on parenting, food values, cooking tips and more. Meagan also describes her favorite go-to recipe, one that provides a base for at least four other dinners every time she makes it. I hope you enjoy getting to know Meagan and walk away with feeling ready to get in the kitchen and cook, no matter how busy you are! This pork shoulder can be prepared on one day and used for several more meals! Ideas for modifications in the notes below. It's generally easiest to cut the shoulder up into fist-sized pieces, but not necessary. Drizzle oil into the bottom of a dutch oven and heat over medium-high heat on the stove while preheating the oven to 250º F.
Rub the shoulder all over with your choice of herbs/spices This first go around can be mildly spiced because you can re-season the meat in all its incarnations. Add your choice of liquid to the pot. Meagan also likes to add oranges or limes, cut in half, to the bottom of the pot as well, and you can't go wrong adding some sliced onions either now or earlier, while the meat is searing. Put in the oven for 6-7 hours. You want the meat to be falling apart. If you don't have quite this much time, you can increase the heat to 275 or 300, but if you have less than 4 hours I'd recommend using a pressure cooker. When you pull the pork shoulder out it should pull across easily with two forks. As Carnitas: Heat the shredded meat in hot oil on the stovetop or under the broiler in your oven until it's crispy-brown. Season with lime and cilantro. 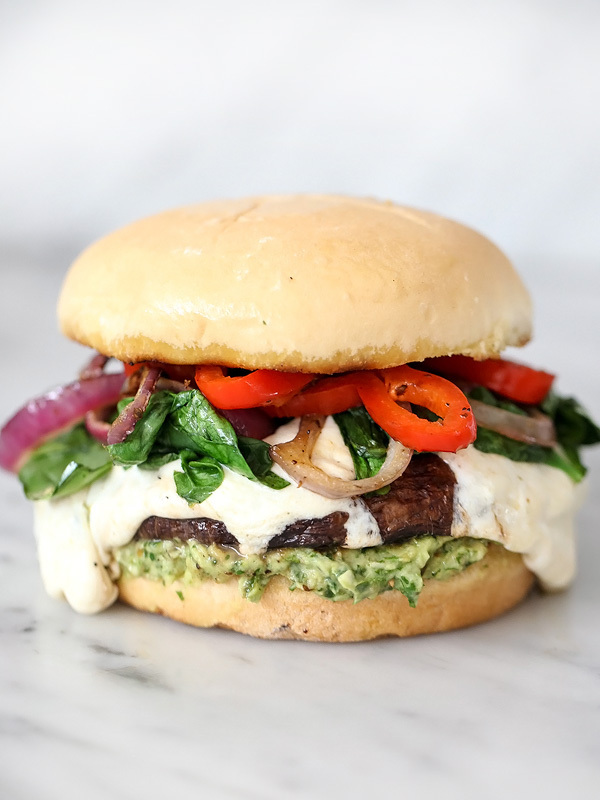 Serve with tortillas, onions, more lime and cilantro, queso fresco, pico, or whatever you like. BBQ Pulled Pork: Mix meat with barbecue sauce and serve on buns as pulled-pork sandwiches. Meagan's Magical Mix: Roughly chop 2 sweet potato (skins on, natch) and roast in the oven at 400º F until nearly soft. Add to a hot, oiled skillet with shredded pork, lime, and cilantro and stir until you have a golden-brown hash. Serve with eggs over easy or medium. This is the Day 3 version of the recipe, the one Meagan's son Owen called an "almost 10!" 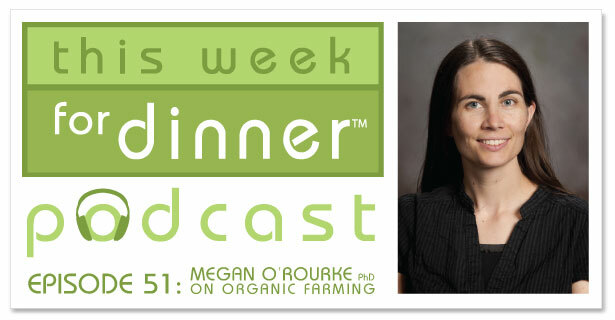 In episode #51 of the podcast, I get the chance to interview Megan O’Rourke, professor of sustainable agriculture at Virginia Tech. 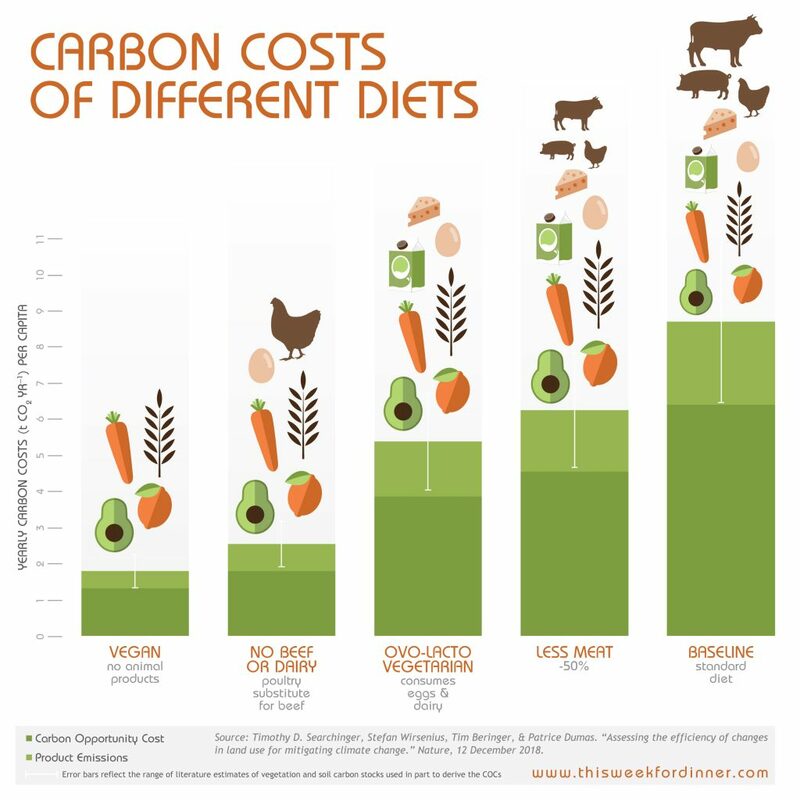 If you’ve been following my Eat Well, Heal the Planet posts this year, you know Megan! She’s our resident scientist, providing all kinds of great info around food, farming and the environment. 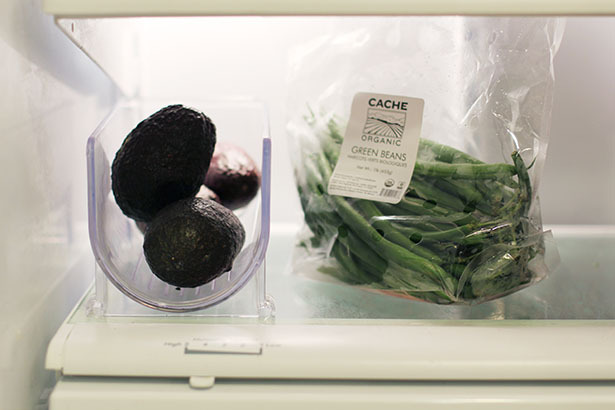 In case you missed it, yesterday we published a post with a quick guide for mindful food shopping as well as Megan’s thoughts on the current state of organic farming. Today’s podcast interview builds on that article. Megan is a fantastic resource and I am delighted to share her with you! 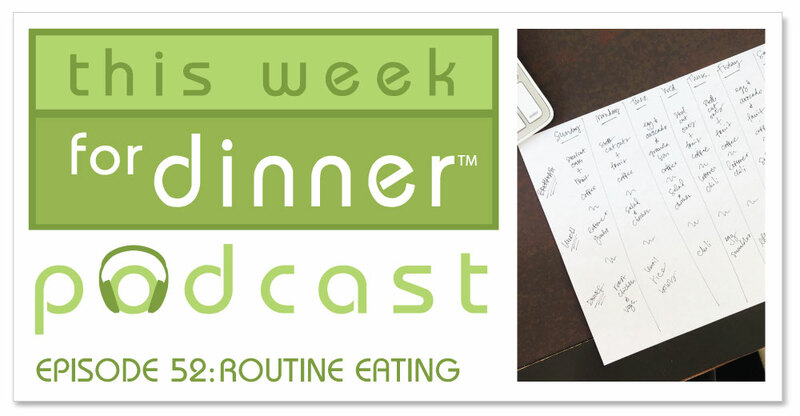 Today marks the 50th episode of the This Week for Dinner podcast! To celebrate I am sharing some of my most favorite kitchen tips and they all have to do with avocados. Over the years I’ve had the chance to visit some avocado groves and here from some avocado experts and along the way I have picked up some really great tips. 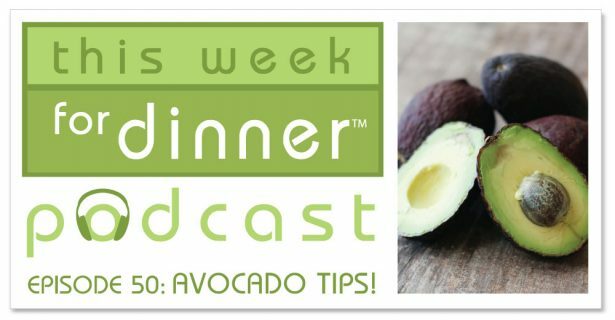 In the show I cover the best place to check for ripeness on an avocado, strategies for storing them at peak ripeness, and how to get the pit out without cutting off your hand. These tips have been game changers for me and I’m excited to share them with you all on the podcast. 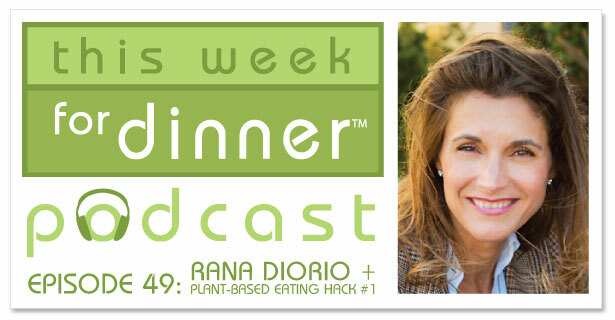 In episode #49 of the This Week for Dinner Podcast I get the chance to speak with Rana DiOrio. Rana is an entreprenuer, author, mom to 3 and life learner. Rana has an interesting background. She started out as a corporate securities lawyer and took a winding road through a few endeavors, eventually matching her values with her career by creating a publishing company for really cool children’s books. She is a great example of a working mom who cooks for her kids all the time. (You’ll find out in the episode what her kids thought of the time she tried a meal delivery kit service.) 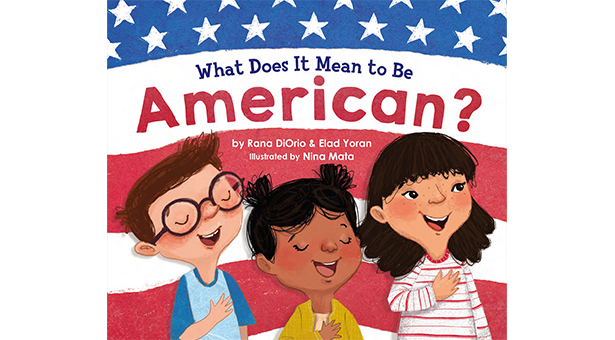 Rana and I talk about how her new book What Does It Mean to Be American? came to be, and of course Rana shares with us one of her favorite recipes and a great kitchen tip. You can follow Rana on Twitter @ranadiorio and on Instagram @ranedear. In addition to Rana’s interview I also share this year’s first plant-based eating hack. Enjoy the episode! Over medium heat in a heavy skillet, cook the sausage until browned, slipping occasionally during cooking time. Remove skillet from the heat and set aside. Lay half of the onions in the bottom of a 4-quart crockpot then top with half of the bell peppers. Add all of the sausages then do another layer of the onions and peppers along with the bay leaves and garlic. Cover and cook on low for 7 hours or until sausage is 165º F. Resist opening the lid until near the end of the cook time to check on the sausages. Once sausage is done, remove the bay leaves. Taste the sauce and add any additional spices to taste if needed. Once the sausage is done cooking, remove them from the slow cooker and slice into rounds. Add the additional 1 cup wine, olives, sun-dried tomatoes, red pepper flakes (if using) and the sliced sausages to the slow cooker. Simmer in the crockpot until you are ready to serve over the pasta of your choice. Via an app: Just search “This Week for Dinner Podcast” on your favorite podcast app, such as Apple Podcasts, Stitcher, Overcast and Spotify. Welcome back to the podcast! Yep, the podcast is back and today I’m launching Season 3. It’s been two years since my last episode (where does the time go?) and I’m excited to get this show back on the road. Going forward the podcast will be a mix of quick episodes with helpful tips, tricks and more as well as interviews like I’ve done in the past. We’ve got some great interviews lined up that I can’t wait to share with you! Today for the podcast I’m introducing this year’s “Eat Well, Heal the Planet” new year’s resolution to focus more on plant-based eating. 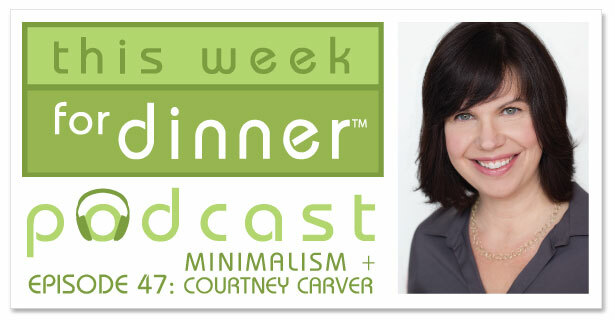 Via an app: Just search “This Week for Dinner Podcast” on your favorite podcast app. The podcast is back! Yippee! 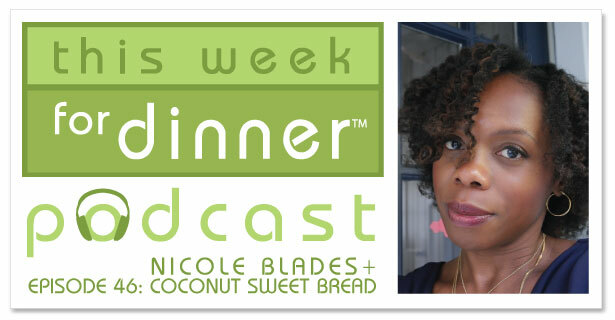 We’re kicking off the second season with a really lovely interview with author Nicole Blades and her family’s beloved Caribbean Coconut Sweet Bread recipe. Before we get to the recipe and shownotes, a few quick notes about Nicole! Nicole is a novelist and journalist who has been writing since third grade. She’s worked for magazines like Essence and written articles and essays for pretty much everyone, from NYTimes.com to WashingtonPost.com and more. She also has a blog (link below!) and her second novel “The Thunder Beneath Us” published last week (congratulations, Nicole! Woohoo!). 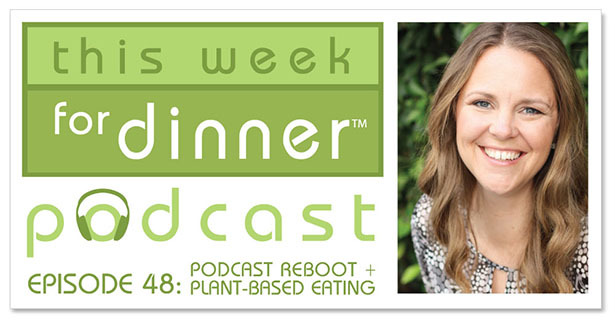 Nicole and I could basically talk forever (we pretty much did) and in this episode we hit on all kinds of topics, everything from the virtues and vices of digital communication, vegetarianism, ancestral DNA tests and, of course, FOOD. Nicole shares two recipes in the podcast. 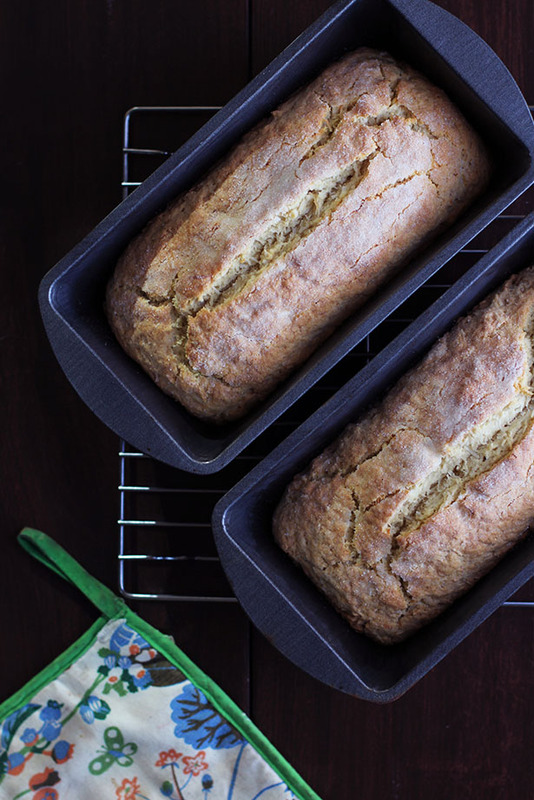 One of them is for Caribbean Coconut Sweet Bread, a recipe that really represents family for Nicole. I wanted to make the bread before the show went live so I would have good photos to include. I am so glad I did. This bread. It is dangerously delicious! Nicole also took photos of the actual recipes she uses. The French toast came from an old magazine and the sweet bread is in an old Caribbean cookbook. I am so happy to have those photos to share with you, too. Hard copy recipes are one of my favorite things in the world. I think it’s time we get down to business! First the shownotes, then the recipes, then the podcast itself! Enjoy! 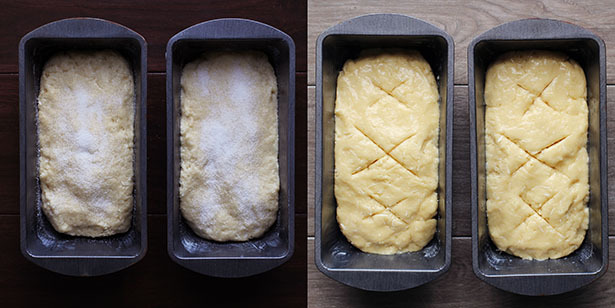 Left: Loaves sprinkled with granulated sugar; Right: Loaves brushed with sugar water. Both techniques work beautifully. 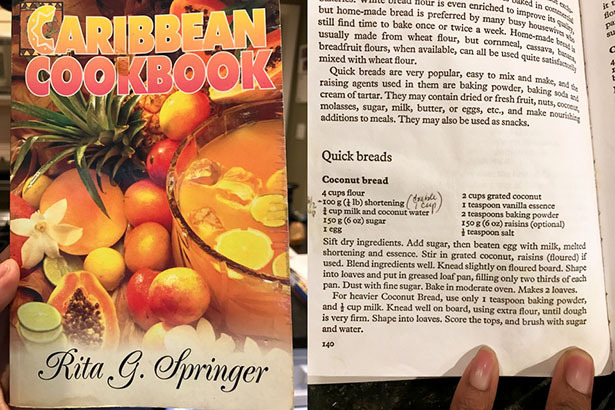 This recipe is adapted from the book "Caribbean Cookbook" by Rita G. Springer. Nicole shared the recipe with me along with a few notes about how she modifies it. I have written it up in my own words below! Add melted shortening/butter, milk, egg and vanilla extract. Stir in coconut. Blend ingredients well (this is where the mixer comes in handy!). Knead slightly on lightly floured board or knead in your mixer with the dough hook for a couple of minutes. Divide dough into two, shape into loaves and place in greased bread pans, ensuring dough does not fill the pans more than ⅔ full. Optional: Stuff the optional "stuffing mixture" from the ingredients list above into the center of the loaves, opening the loaf and putting the mixture in the middle and then reshaping the loaf again before putting it in the pan. Score the top of the loaf (Nicole likes to make Xs, a long line down the middle is pretty, too!) and sprinkle liberally with sugar. Alternately, Nicole likes to brush the tops with a sugar-water mixture (use equal parts water and sugar, about ¼ cup each - mix together and let sit a few minutes to dissolve before using). 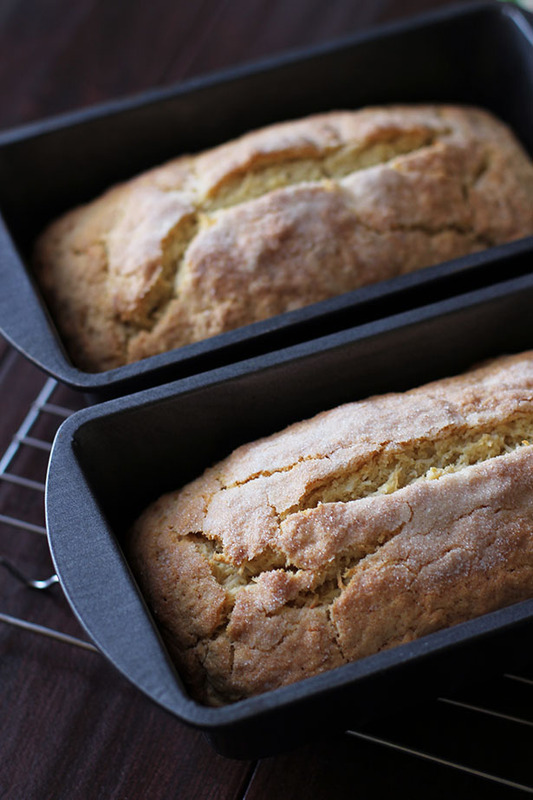 About every 5 minutes or so during the cooking time brush the loaves with the sugar water. Either technique works beautifully. Bake for about 40-45 minutes, or until bread is golden brown. 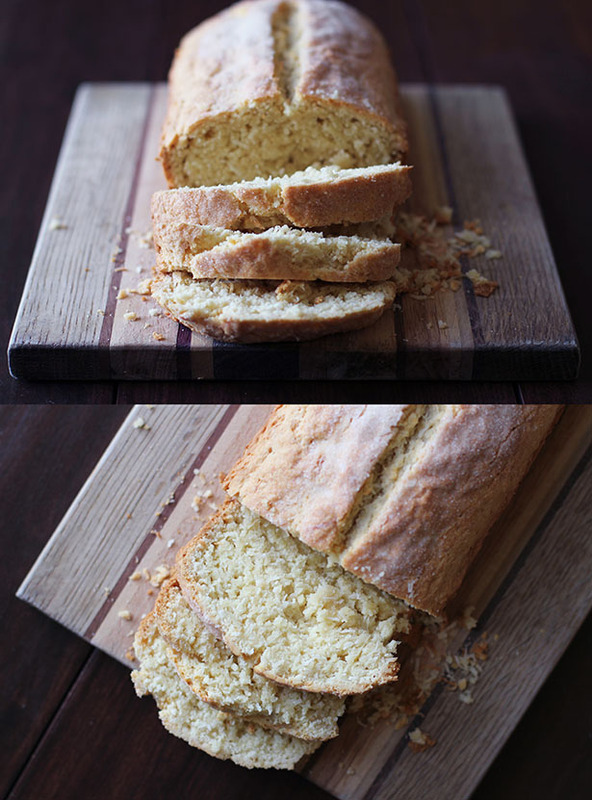 The bread is quite crumbly but far from dry...the flavor and texture are wonderful! Just use a serrated knife when slicing! 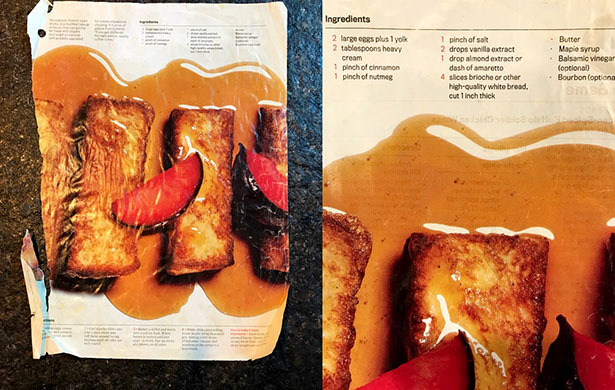 Here is Nicole’s favorite breakfast recipe, a French toast recipe she tore out of a GQ magazine many years ago! 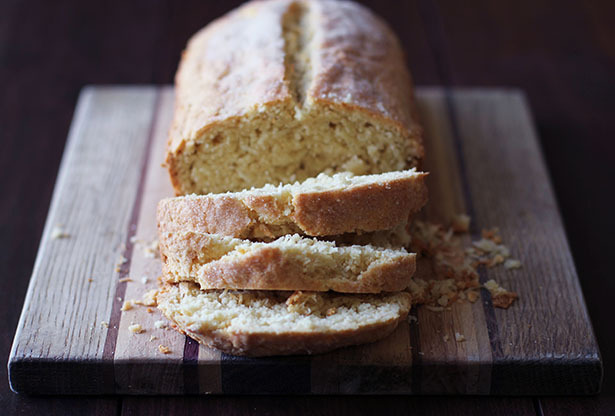 Nicole Blades found this recipe in a GQ magazine many years ago. Whisk together all of the ingredients except the bread. Cook in a skillet greased with unsalted butter on the stove over medium heat like you would any regular French toast! The podcast is back! We have a few more episodes over the next couple of weeks, then the podcast will be taking summer vacation like everyone else. Seems only fair. 😉 We’ll start back up again with new episodes in the fall. 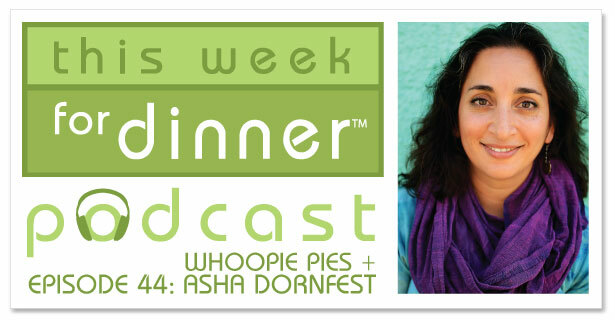 In the meantime, in today’s episode I share a baking tip, wax poetic about New England-style whoopie pies and then interview the lovely Asha Dornfest. Asha is a Portland, Oregon-based writer. Her most recent book is Parent Hacks, which is based on here 10-year-old blog of the same name. Asha is also the co-author of Minimalist Parenting and co-host of the Edit Your Life podcast. Asha and I talk a bunch about priorities, traditionally sweet foods going savory, her favorite recipe (that is beyond easy), an AWESOME tip for entertaining toddlers in the kitchen and more! As you can tell by the long list of links below, there is a lot of great info in this episode that you do not want to miss! Parent Hacks: 134 Genius Shortcuts for Life with Kids – Asha’s new book! Today on the podcast I share my favorite pasta cooking tip along with a great pasta recipe. 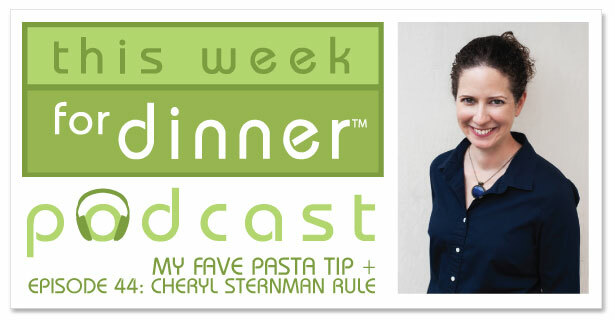 Afterwards comes the really good part – I chat with award-winning food writer, cookbook author and yogurt expert Cheryl Sternman Rule. Cheryl is fabulous and she shares all kinds of fantastic yogurt tips and recipes with us today. It’s a must listen! Cheryl’s done all kinds of cool things, from getting a masters from Harvard, attending culinary school, working at the Department of Justice as well as doing a Peace Corps stint in Africa. What hasn’t Cheryl done?! The best part about Cheryl, though, is her warmth and approachability and I’m sure you’ll fall in love with her just as I have. Thanks for being on the show, Cheryl!